This vinyl clutch (which can also be used as a makeup bag) has a top side to side zipper. The front side has a 2 1/2" wide beige panel with Gloria Vanderbilt etched in black. 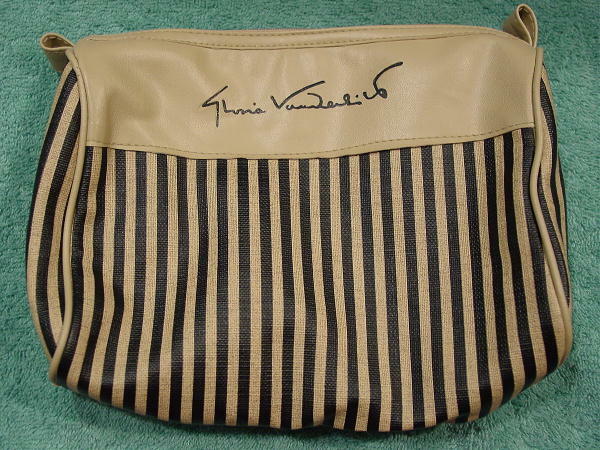 The lower front part, sides, and back are in a textured beige and black stripe pattern. The lining is in a white vinyl.